Welcome to the website of AQUATIO . 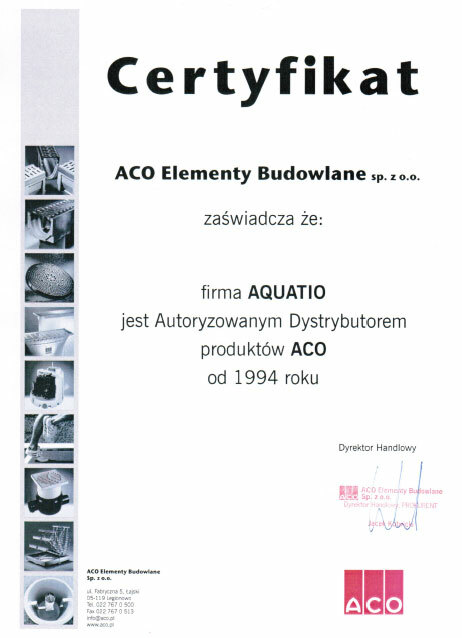 AQUATIO firm is the distributor of the company ACO line drainage since 1994. 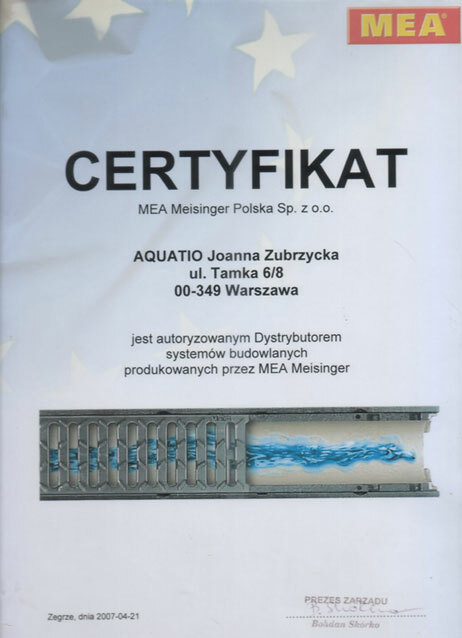 In 2000, we expanded our range of products PASSAVANT company, and in 2006 we started cooperation with MEA Meisinger Poland. 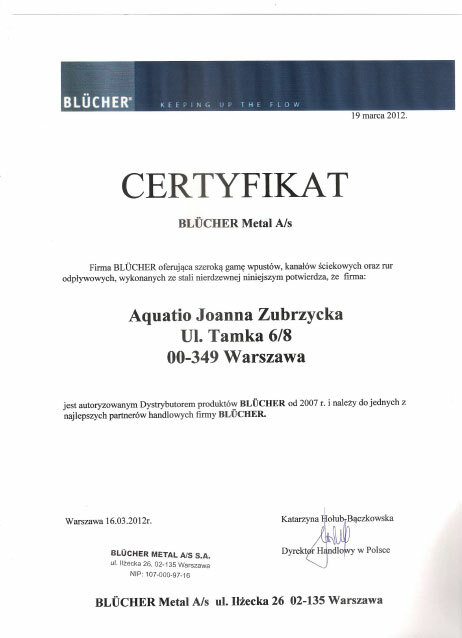 Since 2007, we sell stainless steel drainage from Danish company Blucher and wipers German company Emco . 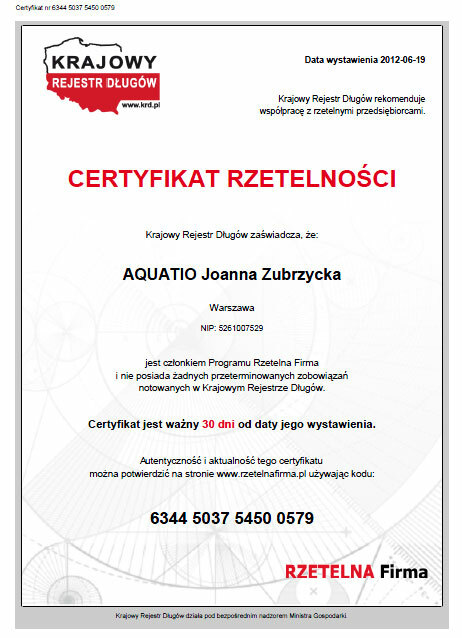 We delivered linear drainage systems for Polish Airports , gas stations Shell, Statoil, Orlen, shopping centers Mokotów Gallery, Blue City, Carrefour and Castorama, building Warta Tower, Warsaw Exchange, Presidential Palace , and the Chopin Museum in Warsaw, Pauline Fathers Monastery of Jasna Góra, sports stadiums in Bydgoszcz, Pulawy, Poznan Przemysl, Jelenia Góra, Białogard, Suwalki, as well as for underground car parks in residential buildings. Our customers include major construction companies, car parkings constructors, sports facilities, as well as individual investors . Our expertise will help you in the selection of appropriate technical solutions. We have a National Debt Register Certificate of Reliability. BLUCHER inlet 97/97 mm. h=80mm.